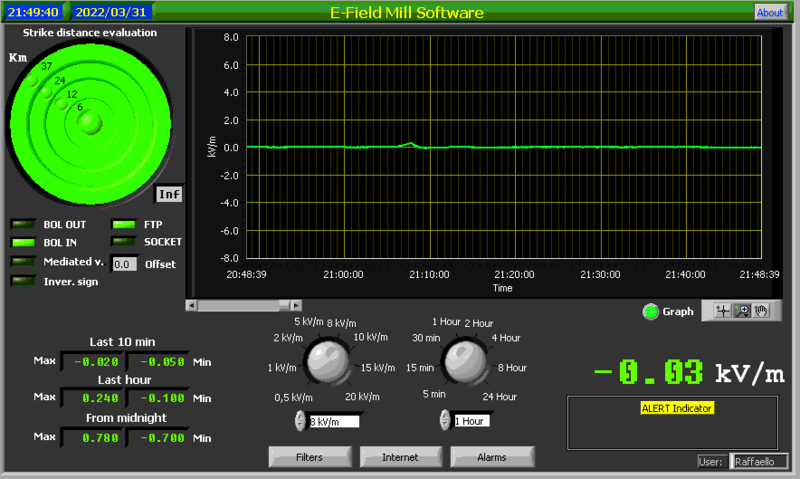 On this page you see the result of the electric field mill (short range) sensor installed at Scandriglia. Electromagnetic Field monitors updated every 2 mins with a time span of 30 min. The circles on the upper left corner of the displays show the distances of the strikes occurred near the observing sites. The ALERT indicator in the lower right corner gives the same information of the circles in the map image.